Whether your hair is very dry or heat-damaged, it can benefit greatly from an oil treatment. In particular, a hot oil treatment is a great option for low porosity hair. Heat opens the hair's cuticle allowing the oil to penetrate the hair shaft and make the treatment more effective. In order to get great results, you don't need to purchase a product that is specifically formulated for this purpose. 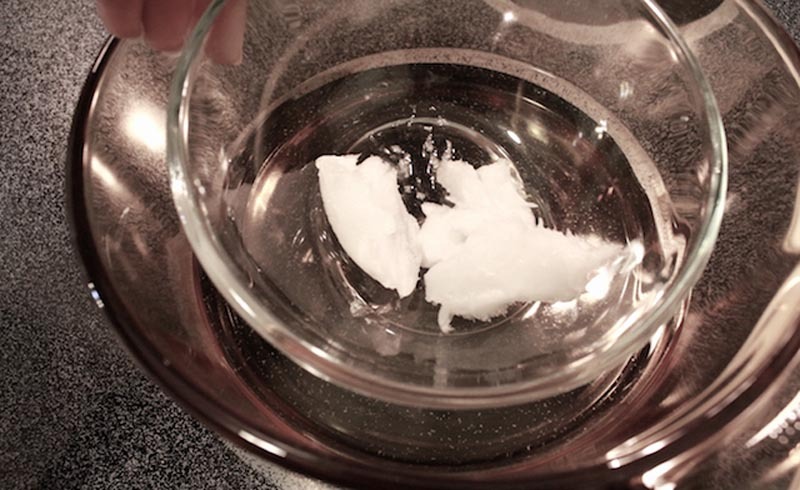 Certain cooking oils, such as coconut oil, are excellent options for hair care. With the addition of essential oils, you can make your own oil treatment blend and extend the benefits to your scalp as well. The results may include reduced hair breakage; stronger, shinier, smoother strands; and a healthier scalp. 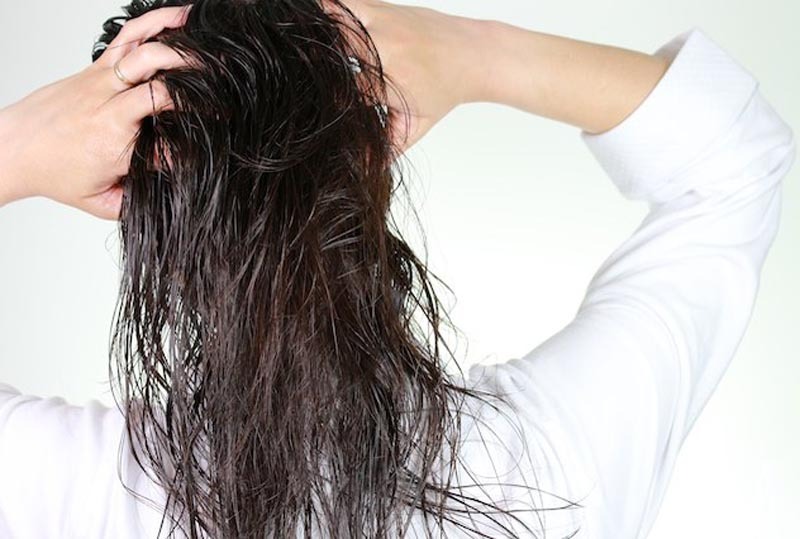 You may even be able to skip conditioner after washing your hair! Create a double broiler using a pot and a glass bowl. Fill the pot with some water and bring to a boil, and then set the pot aside to let the water cool a bit. Put one to two tablespoons of coconut oil into a glass bowl and add up to 10 drops of the essential oil of your choice and mix with the coconut oil. Place the glass bowl containing the oil in the water and let it sit there until the coconut oil melts and the mixture is very warm. Test the oil on your hand before placing it on your head to prevent a burn. The oil should be very warm, but not scalding hot. 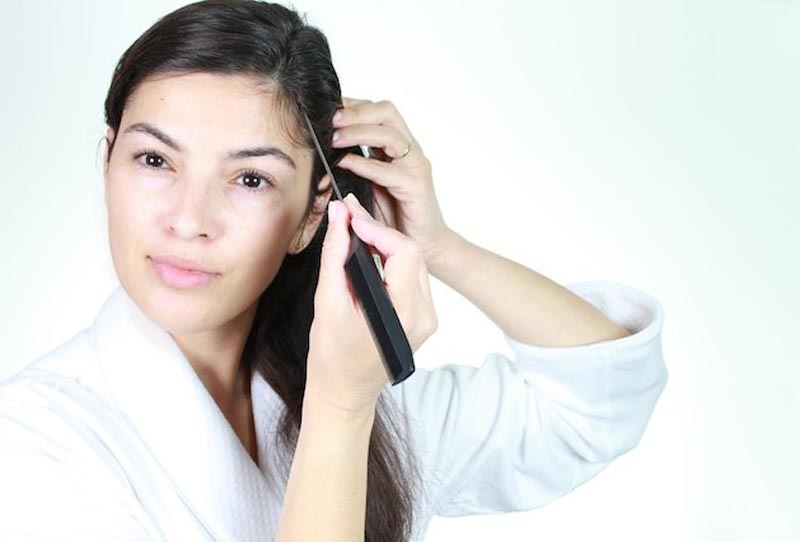 With a comb, part your hair into a few sections to help you distribute the oil evenly. Pour a small amount of oil into the palm of your hand and massage it into the first section of your hair. Then proceed with the other sections of your hair. Apply any leftovers onto the hair ends, which are usually the driest and most damaged part of the hair. 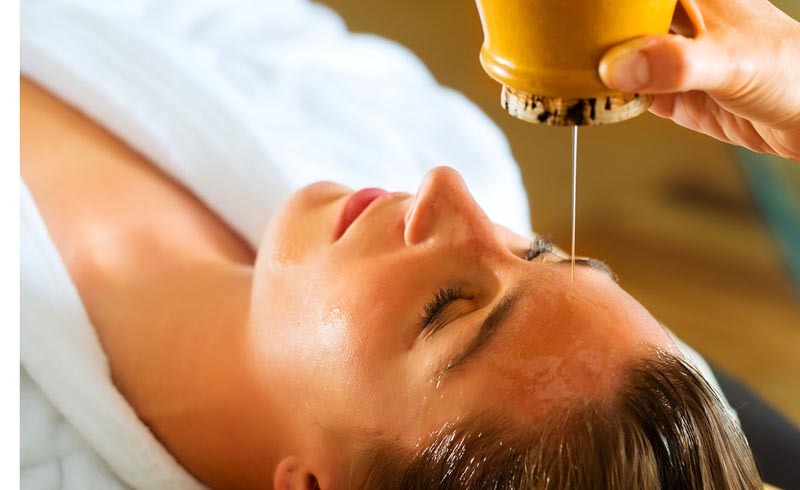 If you added essential oils to your hot oil treatment, massage the mixture into your scalp in circular motions. 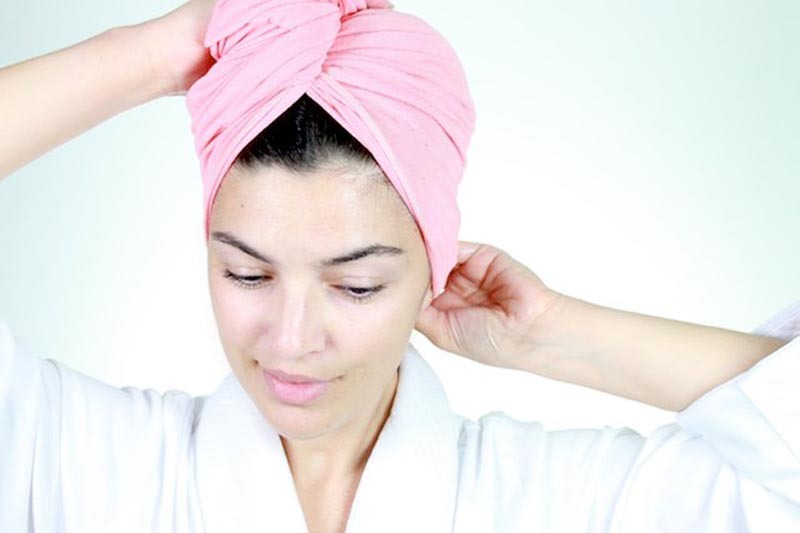 Wrap your hair into a soft hair towel and let the treatment sit on your hair overnight. You can simply leave the treatment on for a few hours, however, to see a more dramatic improvement you should leave it on for about 8-10 hours. Preferably, use a very soft towel like Hubalou, which is made of bamboo fiber and is much more gentle to the hair than a microfiber towel. A soft towel helps to prevent hair breakage. Wash your hair in the morning to remove the oil. You may have to repeat the washing step to completely remove all the oil, but your hair is going to be softer, more manageable, and stronger. Repeat treatment at least once a week. If your hair is very damaged, do the treatment two to three times a week.